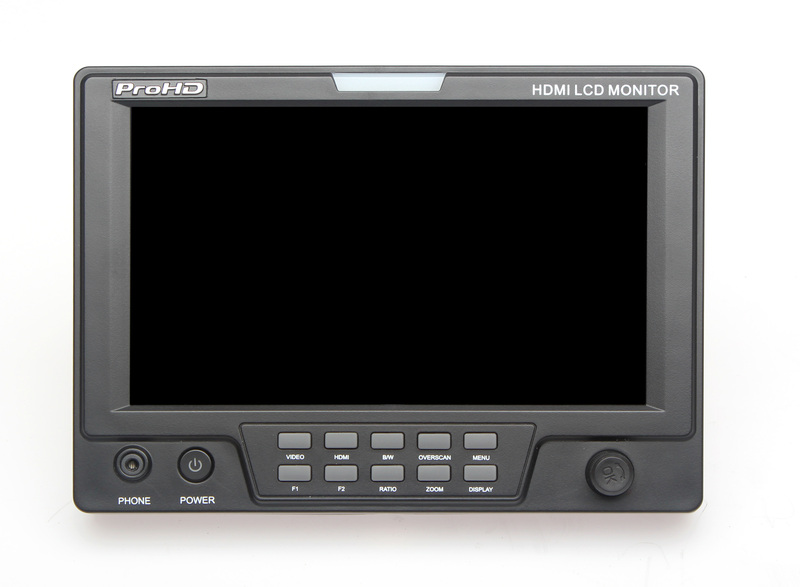 The DT-X71CI is an affordable high quality monitor for field and studio applications where HDMI or composite video inputs are available. 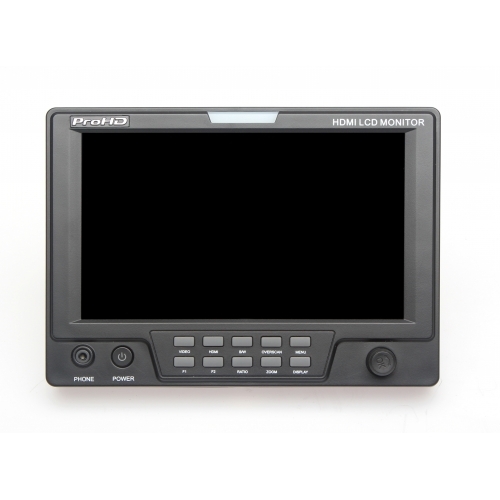 This 7-inch LCD monitor produces 1024 x 600 resolution, H/V: 160/160 viewing angle and a 900:1 contrast ratio. 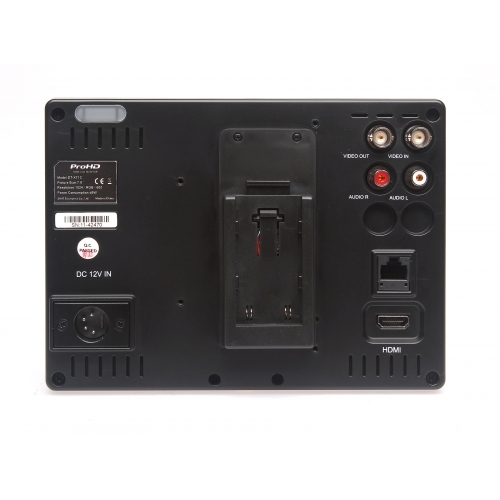 It has front & rear dual TALLY lights accessed through an RJ-45 rear panel connector, video flip, customer editable video title, and safety mark display. 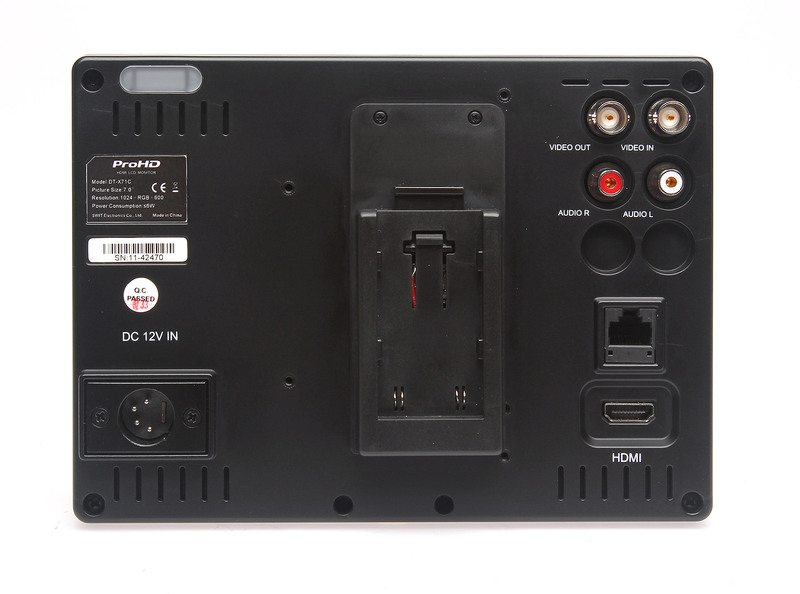 The monitor accepts 1 HDMI and 1 Composite video, 1 stereo audio input. The DT-X71C is powered via a 4-pin XLR 12V DC connector or a snap-on 7.4V IDX SSL-JVC50 battery (optional)—the same battery used with the GY-HM600/650 cameras.